Young entertainers have been preparing since January across the Midwest and July 14-18 they will be competing for up to $7,600 in cash and prizes and the title of Performer of the Year at the American Kids Inc. 2008 National Finals at the Baldknobber’s Theater. “Before American Idol, Star Search and America’s Got Talent, American Kids Inc. has been showcasing the nation’s talented young performers for 26 years,” said Dr. Dale Smith, founder of the non-profit group based in Branson known as the nation’s only little league of entertainers. Some 213 acts and more than 100 kids will compete in the annual talent contest judged by an impressive slate of national and celebrity judges. Competition begins at 9 a.m. Monday-Thursday with an awards ceremony on Friday morning. The event will culminate in the AllStar Show at 2 p.m. Friday, July 18, where 25 of the top acts will be showcased. One winner will be selected as Performer of the Year and win a $1,000 cash prize and a recording session from Rockabilly Recording Company of Branson. Tickets to the show are $10 and available at the door. Among the preliminary judges are Jason Pritchett, 2007 finalist “America’s Got Talent,” Barbara Fairchild, Grammy nominated singer and performer, and Louise Harrison, sister of Beatles George Harrison and developer of Liverpool Legends. More celebrity judges are Gary S. Paxton, Grammy winner, and Jason Yeager, 2008 American Idol finalist. In addition, many American Kids national finalists will be showcased on various Branson stages throughout the week. Monday-Thursday, many will be featured on Center Stage at the Branson Mall. On Tuesday, some will be featured in a pre-show at the Hamner Barber Variety Show at 8 p.m. Wednesday-Friday finalists will present pre-shows at Justin Flom’s Imaginary Theatre at 7:20 p.m. On Thursday they will be in the pre-show at the Baldknobber’s Jamboree 8 p.m. show. At the national competition, also recognized are member of the year for community service, college scholarship recipients and a penny drive for a children’s health charity is completed. “We have many members performing in Branson, on Broadway and on tour, with Disney and in Nashville: Bryan White, Kristin Chenoweth and Blake Shelton are alumnus. Fame and fortune are not promised, but personal development is. We promise exposure, growth, character development and opportunity. Because of the experience gained from being on stage, our members are better prepared for whatever they choose to do in life,” said Smith. For more information call the national office manager Brenda Hoffstatter at 1-800-377-8117 OR 417-337-8964 or go to the website at www.americankids.com. BRANSON, MO. — Six time Emmy award winner and Grammy nominee John Tesh will be in concert at the Branson Convention Center Friday, July 18, at 7 p.m.
For “An Evening With John Tesh” Tesh brings his all star cast of singers, choreographer and dancer Breeze Lee, an exciting and captivating dance troupe, and outstanding musicians. Adding to the multi-talented troupe of young dancers combining the beauty of hip hop, ballet, lyrical dance and movement is the powerful and uplifting original music of Tesh who has written, composed and arranged most of the shows orchestrations. Now a successful daily radio talk show host as well as a national recording artist, Tesh has won six Emmys, two Grammy nominations, sold seven million albums, has three gold records and done six PBS specials. “This is going to be a great event and an amazing evening of entertainment,” said Branson’s Midwest Concerts CEO and President Gary Bartlett. The 10-year old Branson’s Christmas Assistance Program serves parents and children who have special needs especially during the holiday season. In addition to gifts, children are given backpacks, school supplies, two outfits, shoes, underwear, socks, jackets as well as dental and medical assistance for children in kindergarten through 12th grade. In some cases, fuel money, rent and utility assistance are provided. Although the program is called Christmas Assistance, the program is operated year-round and is supported in part by local sponsors that include Wal-Mart, VFW, The Rotary and individuals. Annually more than 500 children and more than 200 families are helped. 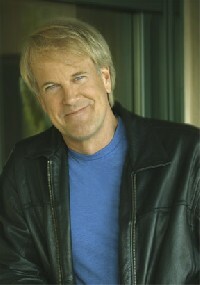 “We are looking forward to having John Tesh perform in Branson. It is truly wonderful that the evening will be benefiting the Christmas Assistance Program for children in the Branson School District,” said Ross Summers, President/ CEO, Branson/ Lakes Area Chamber of Commerce and Convention and Visitors Bureau. 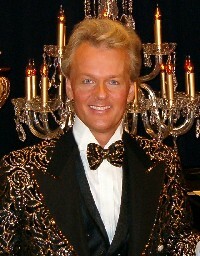 Jon England, the International Piano Showman from Great Britain brings his phenomenal transatlantic music show “Royally Entertained”, to the Caravelle Theatre on July 15th (Tuesday) at 2 p.m.and will run from Tuesday to Saturday throughout the Summer and Fall concluding with two weeks of Christmas Shows beginning Tuesday 2nd December. Having transformed the Theatre’s auditorium into a lavishly appointed luxury showroom environment with moving chandeliers, heavily-swagged “Moulin-Rouge” velvet draping, three gorgeous custom-built pianos, video backdrops and a host of unexpected surprises (including an extraordinary “Royal” guest), Jon provides non-stop dazzling and heart-warming presentations of the world’s most famous music and songs along with Noel Coward-style merriment delivered with drop-dead Roger Moore-style good looks. This truly is a must-see show for anyone who hankers for stylish, classy, emotionally-moving and memorable show experience that’s easy on the eye, ear and pocket. With adult tickets at $23 (plus a host of discounts for locals, seniors, veterans, church groups and families) at an ‘easy-to-find’ venue right on the “strip”, next to Jim Stafford’s and across from Mickey Gilley’s – be sure to be among the very first to experience the “Velvet Piano” phenomenon’s Branson premiere week of exciting shows.